This eBay flip of the week comes to you because of healthy new year resolutions. 🙂 How many people want to add fitness to their routine in January? A lot. How many people are looking to purchase home exercise equipment this time of year? A lot. We have already sold an elliptical, recumbent bike, a spin bike and now this week a water rower machine! Bring on the New Year's resolutions! Bring on the flipping profits! Ha. 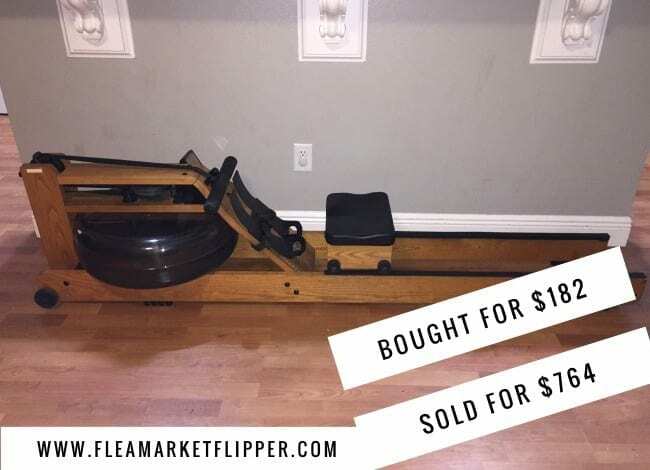 I found this water rower while scrolling through Offer Up one night (one of my favorite nightly hobbies). I made arrangements the next day to go and check it out. I ended up picking it up for $160. The owner said that the computer wasn't fully functioning, it would power on but then not record a session. When we brought it home I noticed there was a loose wire, so I just secured it back in the wire harness and it worked great! The rails on this machine also had a few cracks. It wasn't effecting function, but for aesthetics I wanted to replace them. The rails cost me $22 to buy and ship them to my house. So we had a total of $182 into it. I listed the rower on eBay for $850 with $150 shipping, but ran a Christmas sale on my eBay store, so the rower ended up selling for $764. The buyer ended up being a local and came and picked it up instead of us having to ship it anywhere. Since we had $182 into it, we made a profit of $582. Not quite as high as I originally hoped, but definitely not bad. As an eBay reseller, it's definitely worth keeping up with some seasonal inventory. A lot of my items are unique and a little random, but there are still eBay items that sell better at different times of the year. Having exercise equipment in the beginning of the year is always a great idea. It also is popular at the end of summer/start of the new school year. Having toys and other gift ideas from October-December will always sell better. Seasonal clothing and shoes can do well when in the appropriate seasons (boots in the winter, sandals in the summer). If you sell larger equipment, anything lawn equipment related or boat related will sell well in the spring, snow equipment in the late fall. If buying and reselling/ flipping items is something that interests you, check out our 5 day intro to flipping e-mail course. This is not an all inclusive course like our Flipper University, but will help you get your feet wet and see if this is something that is a good fit for you. 🙂 It will also add you to our flea market flips and eBay tips newsletter that we send out about 1-2x per week. 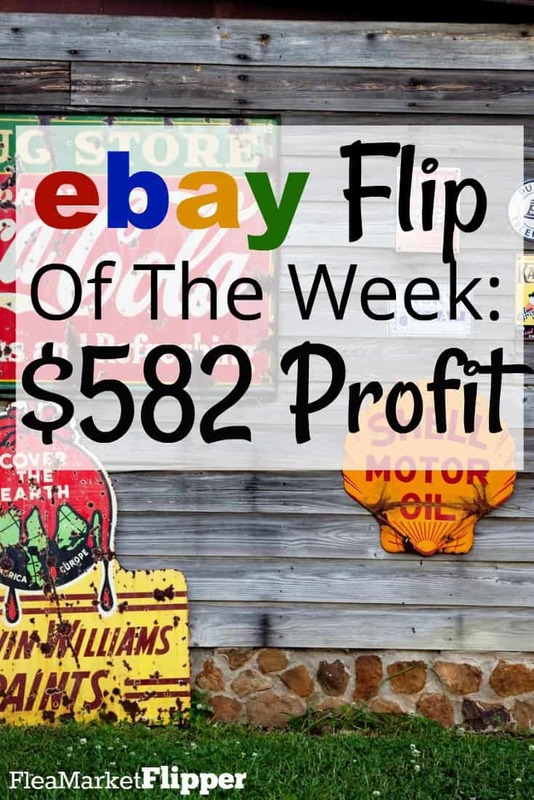 If you are a reseller, share your eBay flip of the week below in the comments! We love hearing your stories.